St. John’s College has one purpose, one curriculum, one vision of liberal arts, and one distinctive identity. St. John’s enrolls a wide range of students coming from a wide range of backgrounds. The admission process is, like everything else here, very personal. While grades and test scores are important, the essays are the primary focus of the admission decision. While statistics show that St. John’s gets some of the best students in the country, it reserves the right to admit students who will fit its unique educational style. Test scores are optional, with 72% of the entering class submitting them. The middle 50% of SAT scores run from 630–730 in Evidence-Based Reading and Writing and from 590–720 in Math. 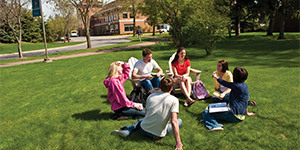 The College is centered on reading and discussing the great works of Western civilization across the spectrum of human thought, providing a fundamental liberal arts education, and challenging students to become purposeful and effective communicators, thoughtful and responsible citizens, and generous, collaborative learners. The College is a single institution on two campuses—one in Annapolis, Maryland, and one in Santa Fe, New Mexico. Students are free to transfer between the two campuses from year to year, and about 25% take advantage of this opportunity. St. John’s was founded in Annapolis in 1696 as King William’s School, making it one of the oldest colleges in the country. The Santa Fe campus opened in 1964. At a time when most private colleges increase tuition, St. John’s College is concerned that many students struggle to afford their education, so they have chosen to implement a new financial model, supported by generous donations from alumni and friends. This focus on philanthropy makes it possible for the College to lower tuition for the 2019–2020 academic year to $35,000. This makes St. John’s one of the most affordable liberal arts colleges in the United States. A study by the Higher Education Data Sharing Consortium, adjusting for institutional size and number of degrees granted, found that St. John’s is among the most productive sources of future PhDs. About 70% of St. John’s alumni pursue their formal education beyond the baccalaureate degree at some point in their careers. All faculty members are called “tutors”—there are no professorial ranks, and the title “professor” is not used. All classes are led by tutors, and there are no graduate teaching assistants; 100% of the faculty teach undergraduate classes. All classrooms have a large wooden table around which students and tutors sit, and all classes are conducted as conversations, whether the work at hand is mathematics or philosophy, music or political theory, literature or science. There are labs and studios, but the key is that you are reading Einstein’s Theory of Relativity, in his words, and then discussing it in class. The student-faculty ratio is 8:1, and the largest classes have no more than 20 students. Students have conversations with tutors before class, after class, over coffee, at lunch or dinner—tutors do not hold office hours, because they meet with their students all the time without making formal arrangements to do so. The hallmark of the St. John’s classroom is the collaborative style of learning. Instead of lecturing, tutors ask questions, provoke thinking, guide conversations, and support students as they wrestle with ideas. The all-required curriculum is curiously liberating. There are no majors; every year, students take classes in mathematics, language (Ancient Greek and French), music, and science, and the hallmark of the program is the interdisciplinary seminar, where students discuss the Great Books. While most of the curriculum is a shared academic experience among students, juniors and seniors take some electives called preceptorials, where they examine a book, topic, or idea in greater detail. Students are evaluated based upon their classroom participation and essays in a discussion with their tutors called a don rag. Grades aren’t part of the culture at St. John’s; while students are graded, they don’t receive the grades unless they ask for them (typically when applying to graduate school). Johnnies are wholeheartedly invested in community, and although they pursue non-academic interests with gusto, you can still hear them having conversations about what they’re reading everywhere from the gym during basketball games to the dorms in the middle of the night. The life of the classroom permeates the life of the campus. Both campuses are tightly knit communities, with the majority of students living on campus and centering their lives on their studies and campus activities. The Annapolis campus has a distinctly East Coast feel and sits on one of Chesapeake Bay’s many inlets. It’s in the historic district of the state capital, with green lawns and colonial red-brick buildings. It’s close to both Washington and Baltimore. The Santa Fe campus is southwestern, about 7,300 feet above sea level, on a hilly 250-acre piece of land with territorial-style buildings and magnificent vistas of the Sangre de Cristo Mountains. 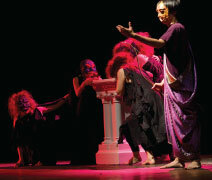 The two campuses offer a wide variety of on-campus activities (athletics, music, arts, dance, publications, theater, etc. ), and each has an array of opportunities specific to its location. What makes for a successful college graduate? According to most conventional measures, St. John’s alumni excel in their careers, from law to medicine, from academia to Wall Street, from politics to the military, from information technology to fashion design, from manufacturing to farming, from nuclear physics to filmmaking. Having all followed the same curriculum at the College, they fan out after graduation into virtually all fields, attending top graduate and professional schools, racking up achievements, and pursuing their goals.